You are on the journey to Asia. 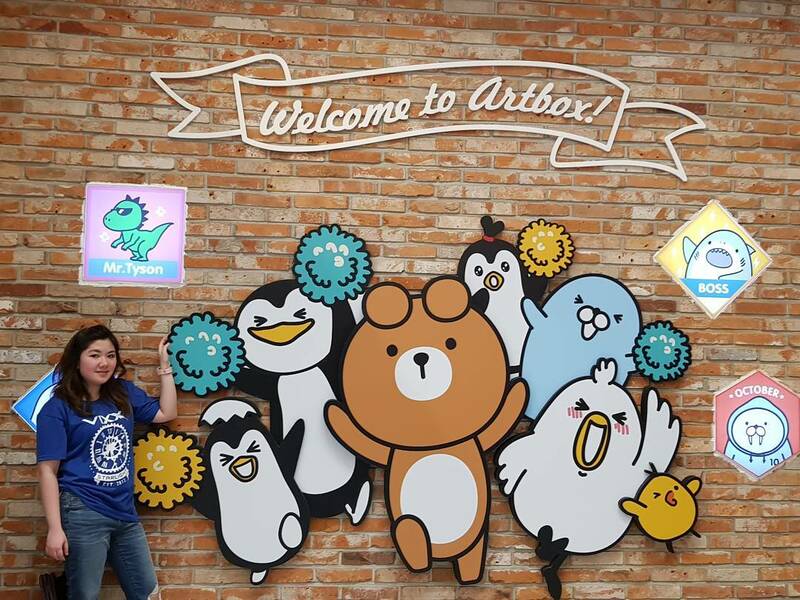 You’ve got a bunch of things planned, then you ask yourself, “where’s a good place to satisfy all my shopping needs?” Well my friend, Korea is your answer! Myeongdong’s fairy district, to be specific, here are directions on how to get there: take Myeongdong Subway station on Seoul Subway line No.4, then get out at exit 6,7. Alternatively, you can take Euljiro 1-ga Station on Seoul Subway line No.2 then get out at exit 5,6. 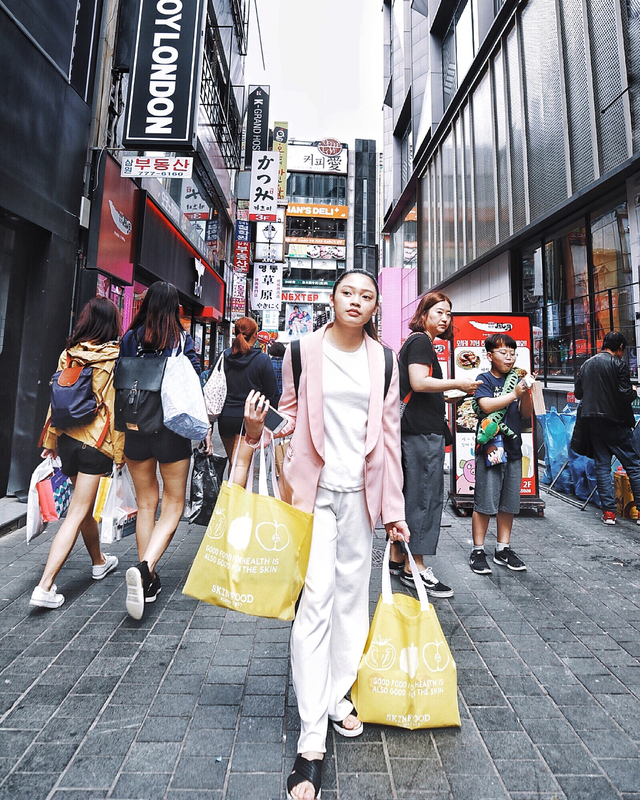 Myeongdong is the shopping paradise, so let’s take a Myeongdong shopping tour through the labyrinth of shops and stores. Honestly, don’t be scared if you find yourself lost in this maze, you’re in the perfect position to explore and find both vintage and modern items! Myeongdong is one of the most bustling corners for any shopaholic, fulfilling even your wildest shopping dreams! Shopping in Myeongdong is undoubtedly top things to do in Seoul. Discounts at Myeongdong shopping corner: should not miss! Spending too much time on your favorite stores: Should not! Have you got your big bag yet? At Incheon International Airport, you can find the refund counter on the third floor, the departure floor, in front of gate 28. Refundable tax is VAT (10%). There are also some special taxes for high-price products. If your amount of shopping products is more than KRW 1.000.000, you have to show them to customs. For cash refunds, you need passport, credit card, receipts and tax refund clips. Myeongdong always belong to top places to visit in South Korea for its abundant shopping supplies and aesthetic surrounding. 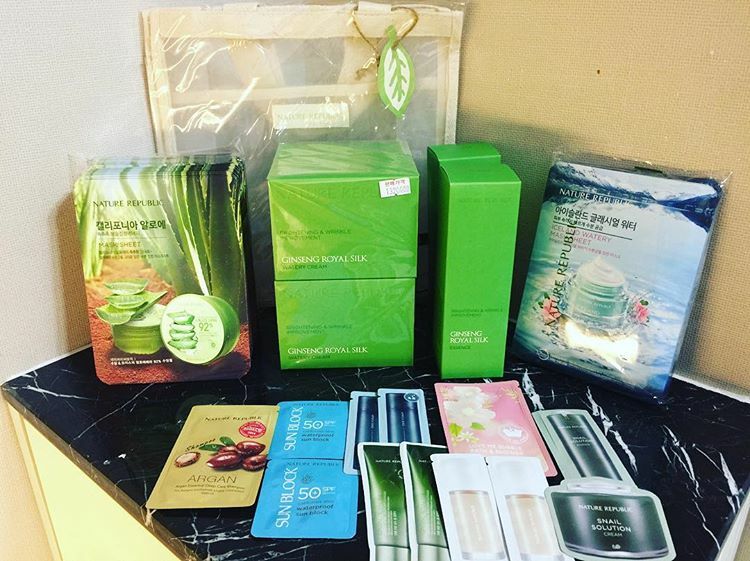 Although so many skin care and beauty stores stand on Myeongdong street, offering both cheap and expensive products, each of them has their own outstanding brand names and good quality products. Some skincare brand names you can find here: Laneige, Skin food, IOPE, Innisfree, Stylenanda 3CE, Olive Young, Boots, Aritaum, Nature Republic, Primera, Etude House. For more premium brands such as Sulwhasoo, History of Whoo, Hera, Amore Pacific, your best choice is the Lotte Department Store. Myeongdong can cater for all your shopping needs and wants! You just have to name it. Tip: Free samples are available for you. Sellers can freely drop them into your shopping basket as a marketing method. They also might forget if the shops are too crowded, so you should ask sellers for them. Do not worry much about not buying anything but still getting samples. It’s perfectly normal in Korea. For travel instagrammers, Myeongdong should not be missed as it embodies shops with aesthetic interior design. This is a corner in 3CE store in Myeongdong. Some special things at skincare shops you should not miss! 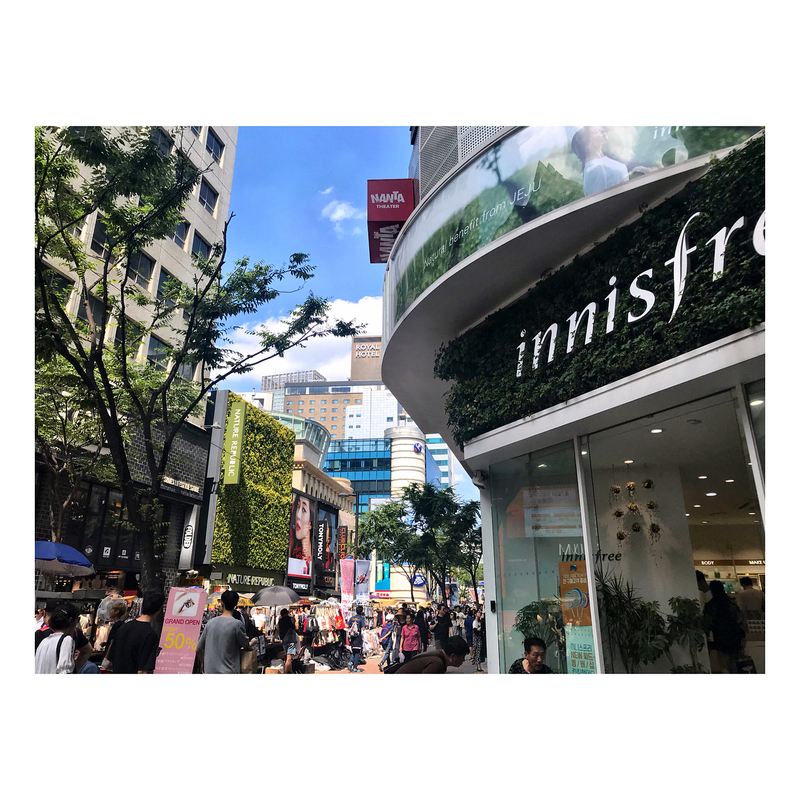 Innisfree: On the second and third floor of innisfree store, you should sit down, grab a drink and some cake. The Innisfree cafeteria is decorated so gorgeously and their foods are great too. 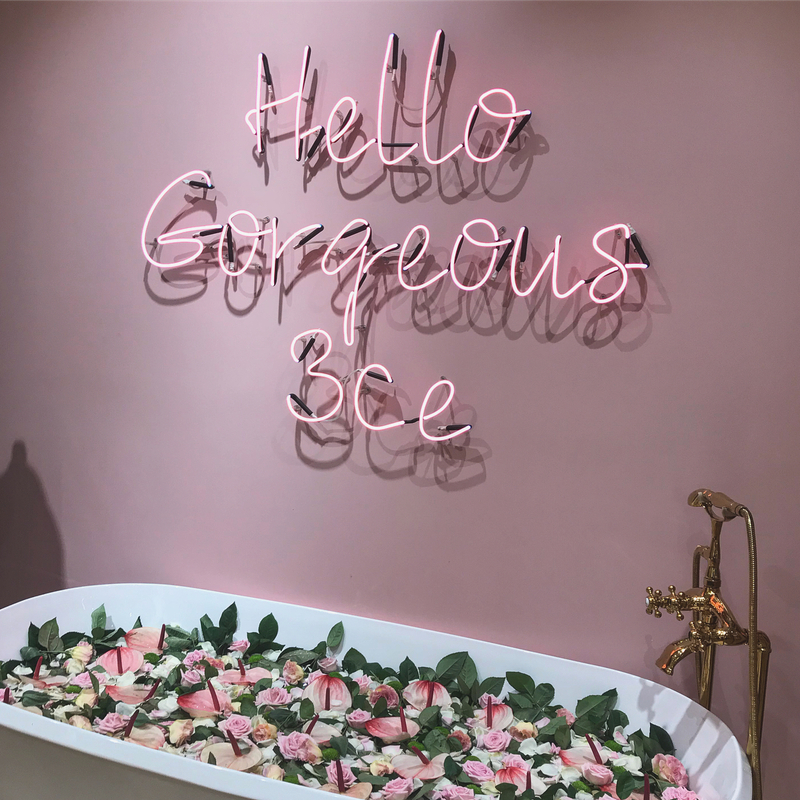 StyleNanda 3CE: the best place for 3CE skincare product shopping, instagram photos, coffee outside and chatting with friends. Tip: Masks here are great. Grab them! Aritaum: Eyelashes at Ariatum are affordable, light and natural. If you usually wear eyelashes, Aritaum offers you long, curly, regular, premium ones. Olive young: This is the biggest health and beauty store chain. And one big Olive Young store stands right in the heart of Myeongdong center. It opens from 10:00am to 10:30pm. At Myeongdong, there are tons of products like socks, bags, clothes, accessories. Their designs are fashionable, distinct seasonal traits, fine quality, affordable prices. Indeed, splurging in Myeongdong is an amazing thing to do in Seoul for any vanity seeker. Tip: Socks at Myeongdong are so cute with different cartoon characters in a variety of vivid colors. You should grab your own ones. Myeongdong stores offer you seasonal prices, and prices always change! The prices are different from every each day. Just check prices and grab them if they are at good deals. You can also get good prices on Korean products because you are in Korea! All the skincare and beauty products are offered at good prices and promotions. For example, if you and your girlfriends go together, you could get two items for the price of one. And the quality is no doubt! 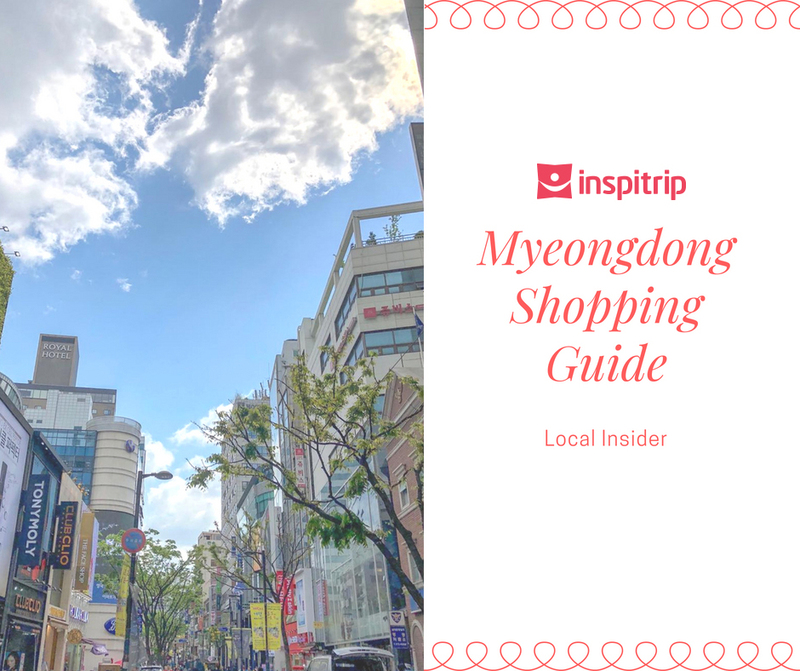 A quick tip from Inspitrip: visit Myeondong during holidays with a group of friends in order to get good deals as the discount is unbelievably crazy when you buy anything in bulk (and during holidays too)! In order to shop without heavy carryings, you could keep your luggage at lockers. Lockers are at Myeongdong stations at exit 2 and exit 3. They are electronic ones with English instructions. The lockers are charged every 4 hours and you have to pay about KRW 3.000 for each cycle. Tip: You should remember the stations where your lockers stand. Because Myeongdong is very crowded place, you might get lost. Do not be surprised if you hear staff around you speaking Mandarin-Chinese. There are a good number of customers who come Myeongdong district from countries like China and Japan. They are obsessed with K-brands, especially Myeongdong beauty products and clothes. Another historical reason for the significant chinese population here is the fact that Myeongdong used to be a Chinese village over 100 years ago! Before becoming a famous shopping spot, Chinese merchants and laborers come here to build their village. There are still some remnants of Chinese culture in Myeongdong district. Just take a little walk and you can easily point out the Chinese Embassy, Chinese street food, Chinese Primary school, and Chinese Resident’s Association. For those who just come to Myeongdong for the first time, buying a lot of things and being lured by sellers and their free samples of cosmetics is not a weird thing. If you want to grab good products at a good price, you should spend more time walking through different stops. Using your time rationally to make sure that you could search for all things you need and compare prices among stores. This is helpful a lot when roaming at Myeongdong shopping center. And yes, remember to grab a taste of Myeongdong street food to fuel you with enough energy for a busy day of shopping. At Myeongdong, from stalls to stalls, from shops to shops, you can see most people carrying big bags. They use them for shopping. While you are busy bargaining, exchanging money, choosing goods or talking with friends, you need something to contain all of your possessions. A big shopping bag is the best friend of shopaholics. Myeongdong has some stores that sell big bags for your goods, further enabling your shopping vacation. The best way to keep everything in one place neatly, safely and wisely. 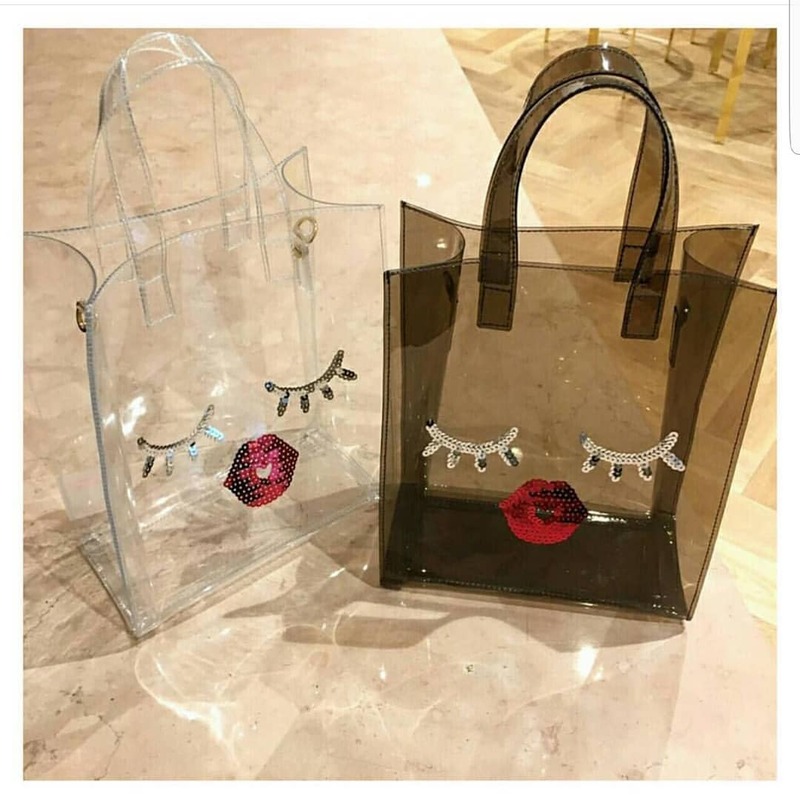 You can find cute and unique tote and see-through plastic bags at “Play No More”. The art of shopping is knowing how to buy and what to buy. Doing your research always puts you at an advantage and let’s you maximize your time. A shopping list is extremely helpful in case you are tempted by free samples, good promotions, discounts, friends sharing stuffs and food stalls that lure you into impulse eating. This also prevents you from buying unnecessary and random things. You’ve just gone through a virtual trip at Myeongdong shopping street with factual things. When you actually reach Myeongdong, it is not only about shopping, but enjoying attractive decorations, bustling atmosphere, and eating a wide range of different tasty and yummy foods. Korea is known for its brand name products, and very modern and trendy fashions. K-pop stars in fact have their own influence on youth generation all over the world through their performances and talents. 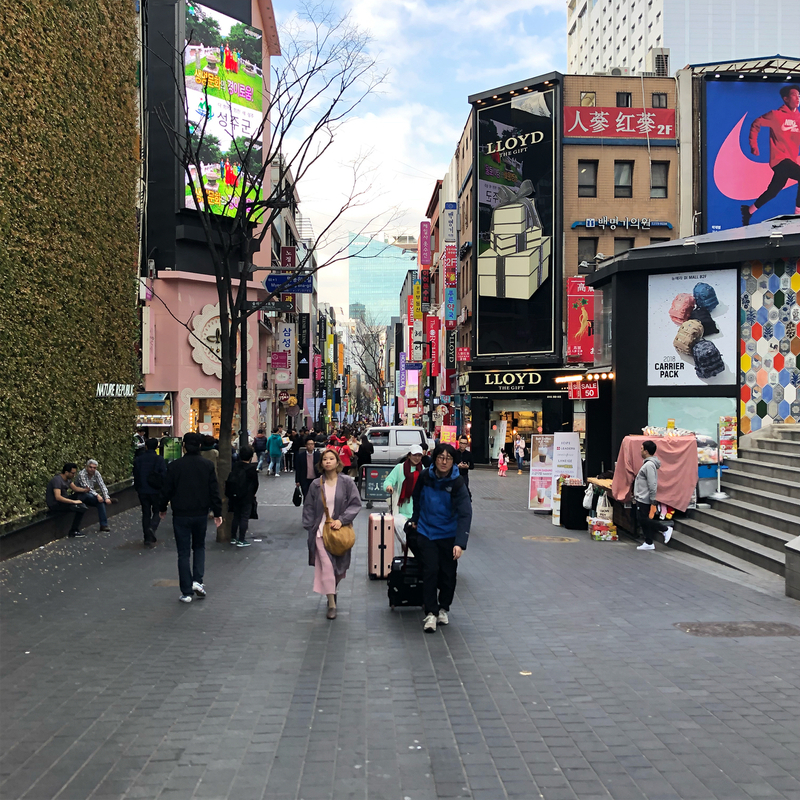 Fans of K-pop might have the greatest feelings when they come to Myeongdong and its shopping neighbors like Dongdaemun, Gwangjang, Hongdae, and Kondae markets.